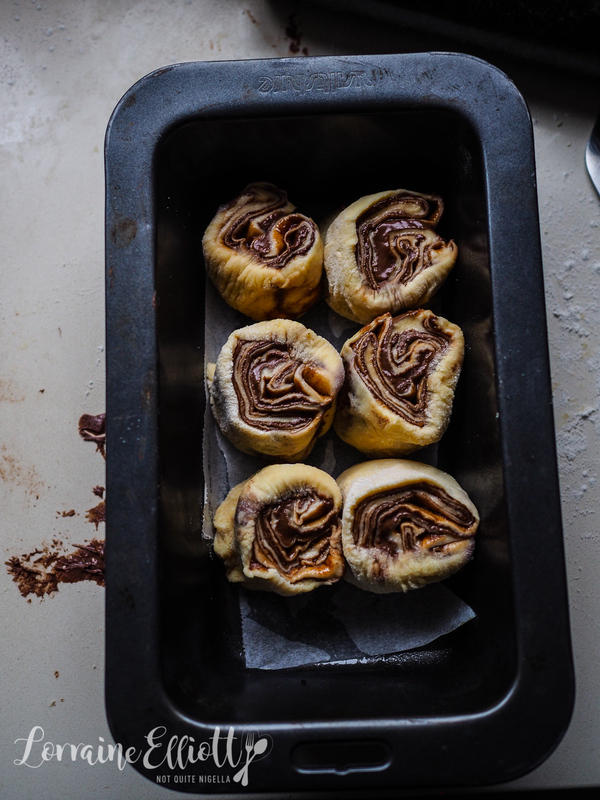 I will give you a little warning Dear Reader, you want to bake these when other people are around to help you devour them because these are full of everything that you might want. 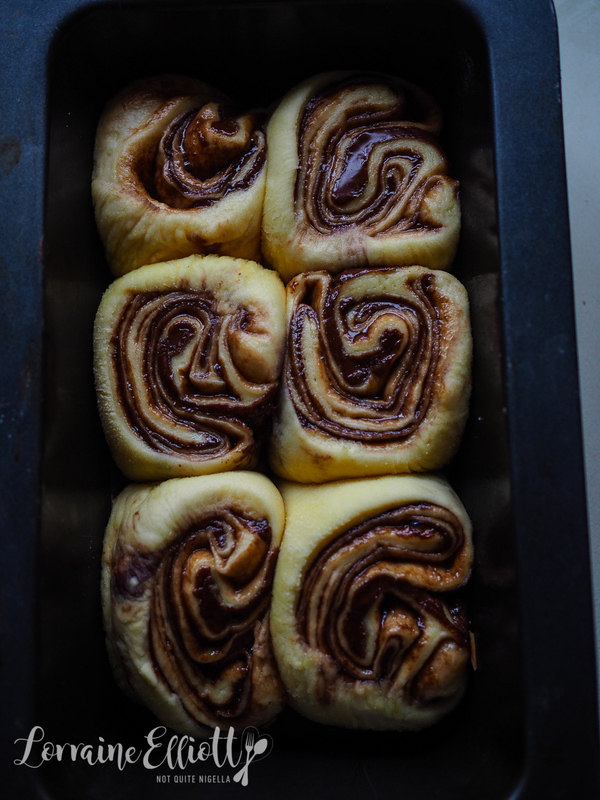 They're soft, chocolatey and perfect with a slathering of butter (yes I'm recommending butter on these because bread and butter are reasons for life). I was having a good day. I had eaten two of these buns for lunch but a persistent and strong pain in my shoulder was bothering me so I decided to quickly book in for a mid afternoon massage. Within half an hour I was settling in for a massage at my favourite local massage place. They play Thai music in the background. It's always the same track but it's pleasant and soothing. And just as I was easing into the zone I heard some crooning in the background. It got increasingly loud-loud enough that it competed with the background music and started to drown it out. It was a man singing offkey and loudly a medley of Beatles songs. He was most certainly tone deaf and he was very confident, a killer combo at best. And for the rest of the massage he sang and sang and sang. I wasn't able to get into the zone and I twitched and turned. I could hear other people around me muttering too about the singer who had what seemed to be an endless list of Beatles songs at the ready. So tell me Dear Reader, do you find it easy to tune out noise like that? And do you always butter your bread? Step 1 - Make the tangzhong first. 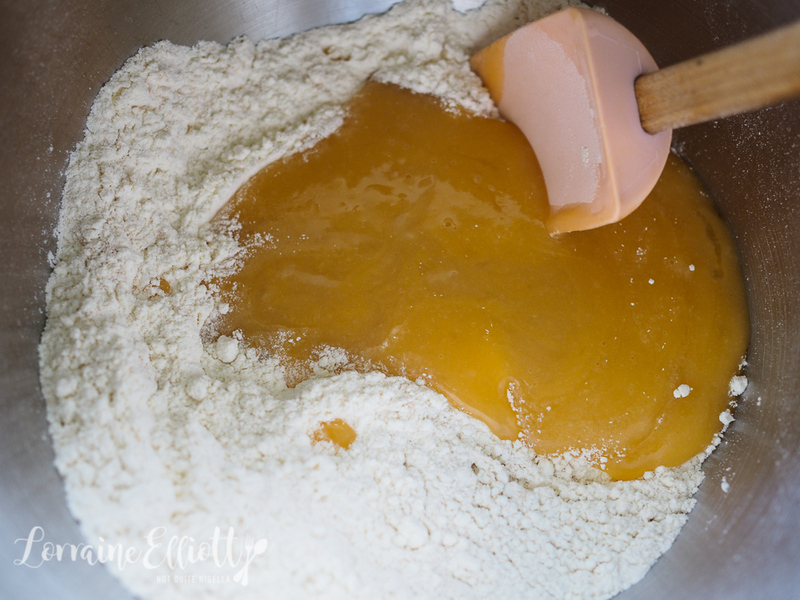 Take 1/6 a cup of the total quantity of flour and whisk with 1/2 cup water until smooth. Heat on the stove on medium heat until it reaches 65C/149F. Add in milk and honey and bring the temperature down to 45C/113F and then whisk in the eggs. 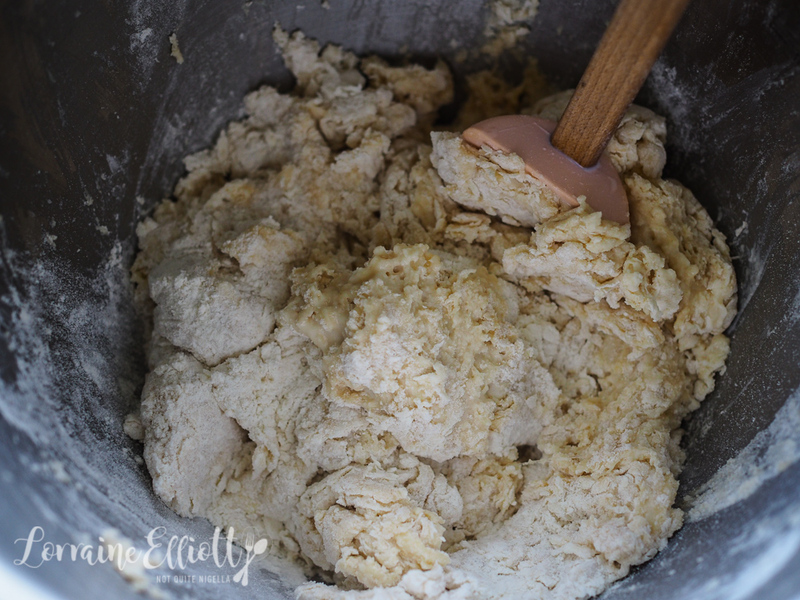 Step 2 - In the bowl of an electric mixer mix the remaining flour with the yeast and then add the tangzhong mixture and mix until shaggy. 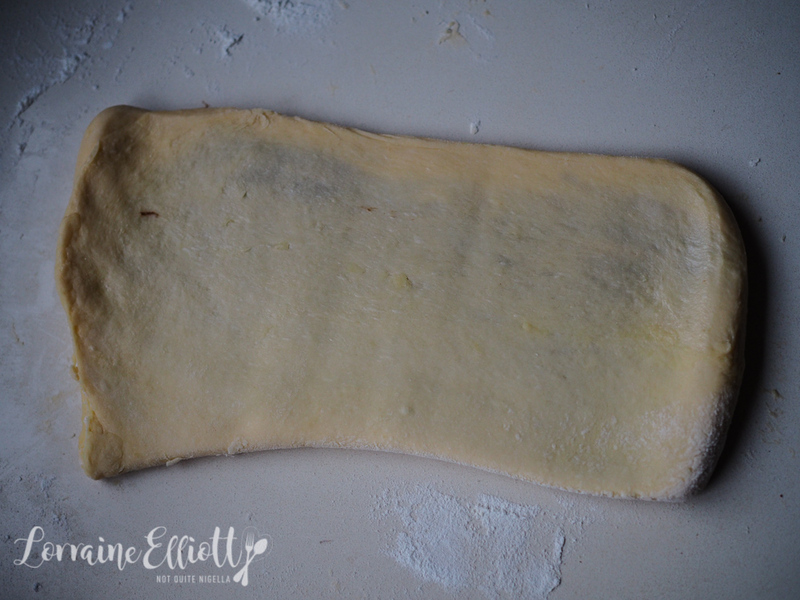 Fit the dough hook and knead on very low until elastic. 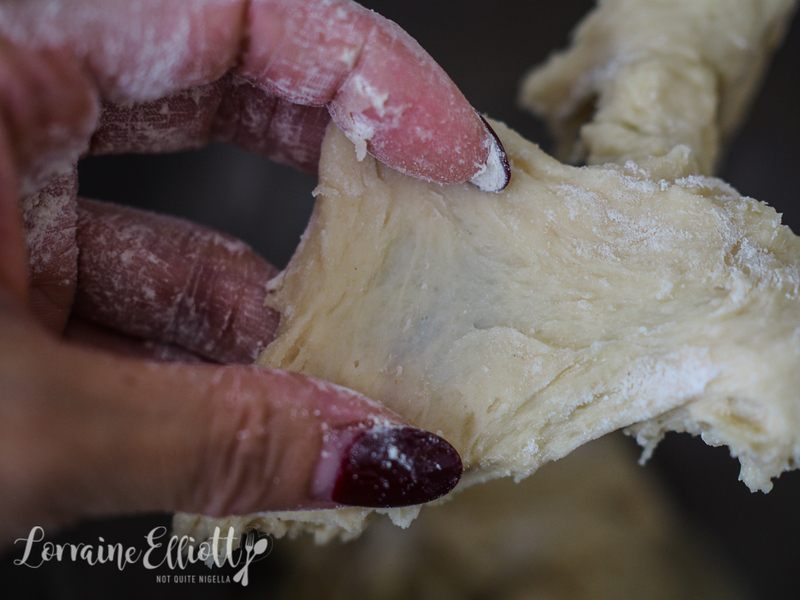 Add in the butter and keep kneading until you get the window pane effect where you can pull the dough gently apart without it breaking-this can take anything from 9-12 minutes or even longer. Shape into a ball without any cracks and cover and place in a warm place for 40 minutes (I put it in another bowl filled with hot water changing it twice). Step 3 - When the dough has doubled in size, punch it down and knead in the salt and place in the fridge for 2 hours. 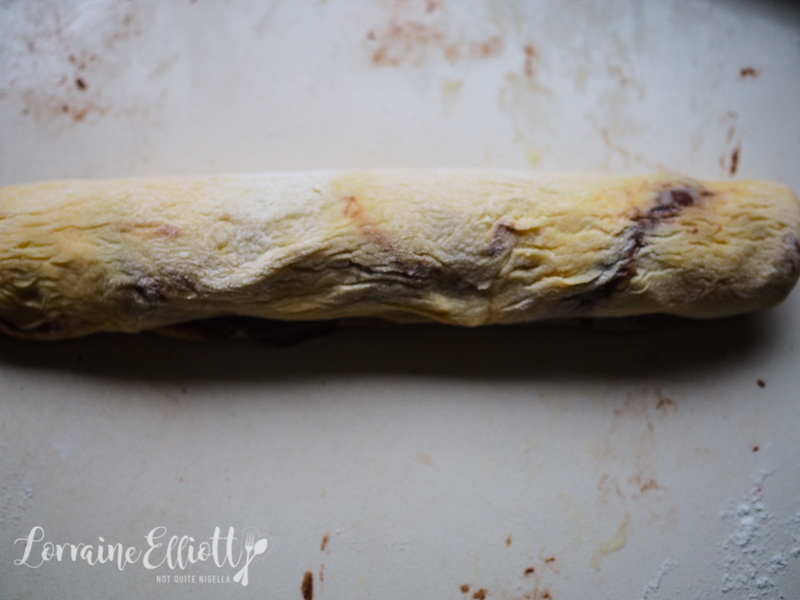 Preheat oven to 180C/350F and flour a large clean surface and have 2 loaf tins ready or 1 square or round tin ready and lined with parchment. 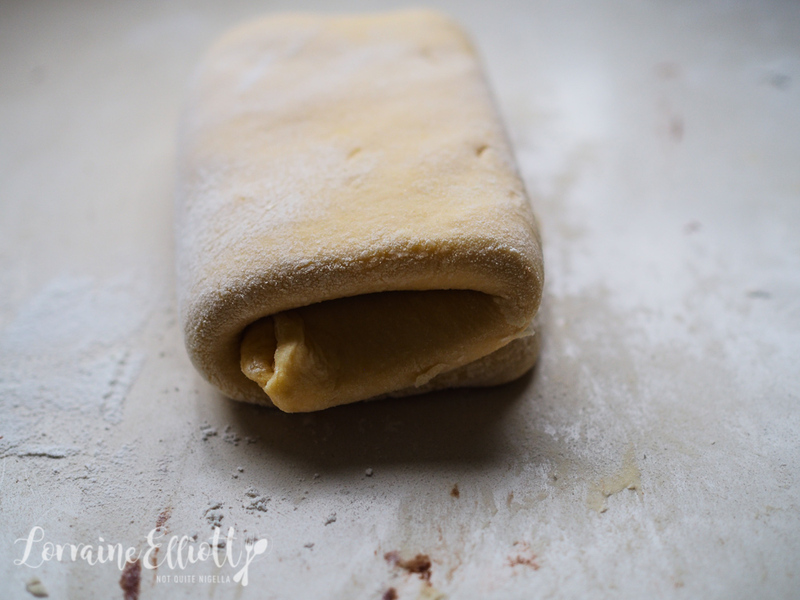 Divide the dough in two lots to make rolling easier. 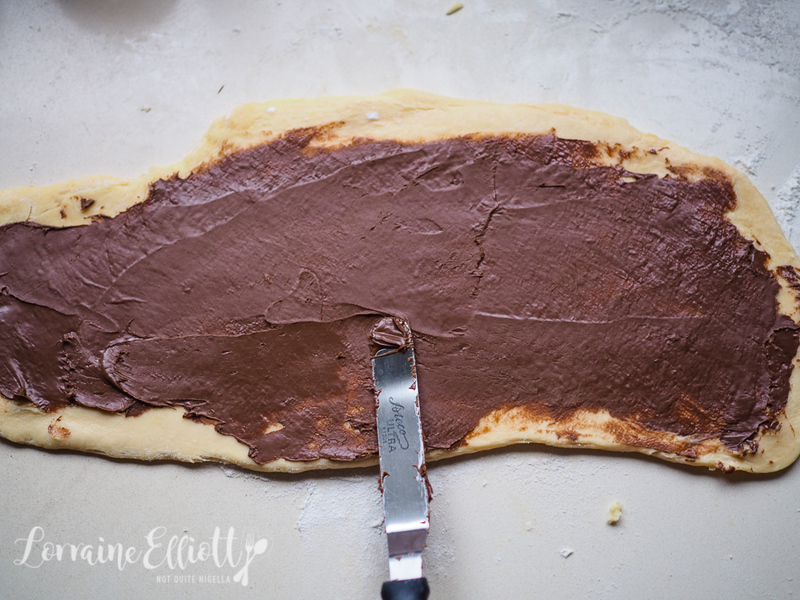 Roll out one lot of dough to become a large rectangle (around 35x20cm (14x8inch) and then fold into three parts like a business letter. Repeat again. 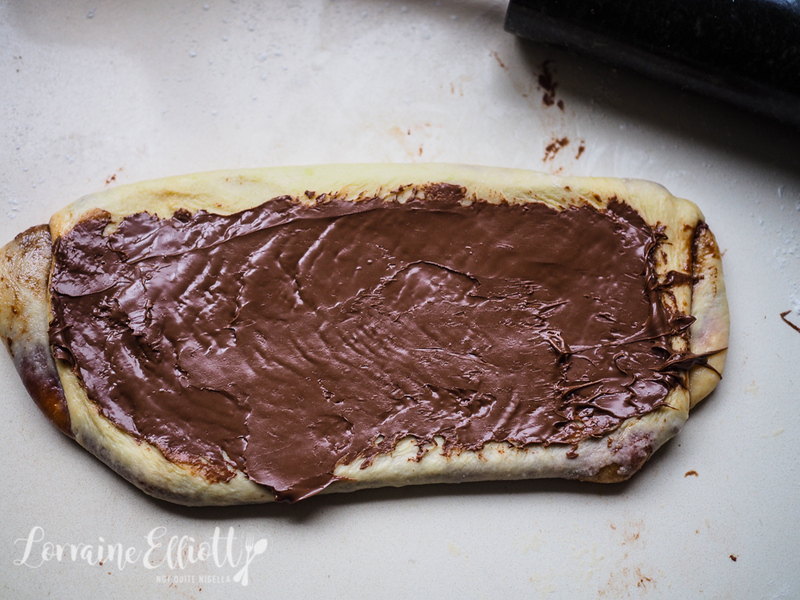 Step 4 - Then on the third go spread a thin layer of Nutella all over the dough rectangle and then roll up lengthways. 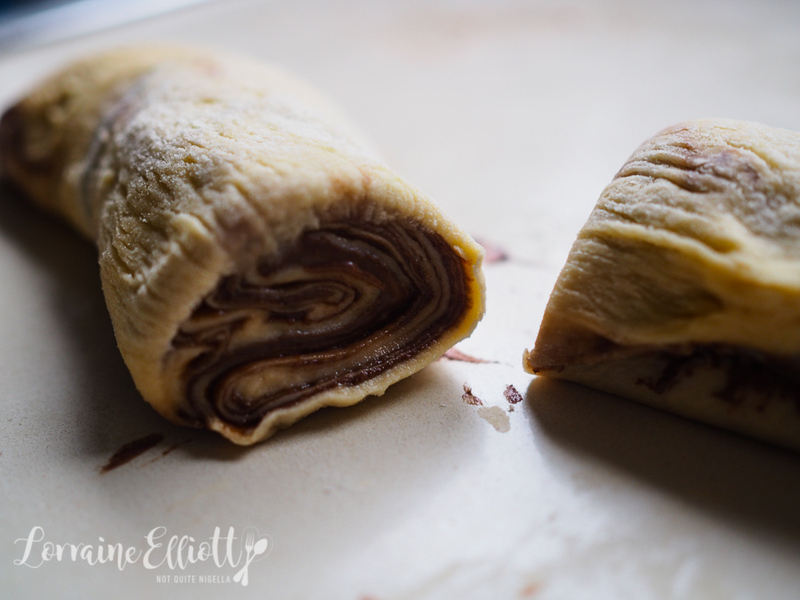 Cut into inch thick slices (I got 2 lots of 6 buns) and place cut side up. Allow to rise until at least double in size. Glaze with beaten egg. Bake for 25 minutes. Cool. Step 5 - To make the crosses melt the white chocolate and place into a piping bag and pipe crosses on top of the buns. 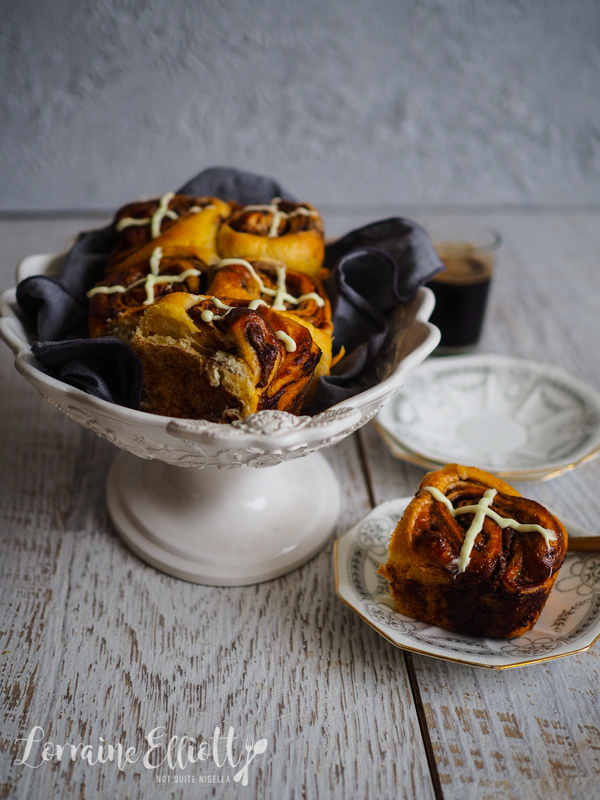 recipeCriss-cross: A Finger Bun X Hot Cross Bun Mash-up! 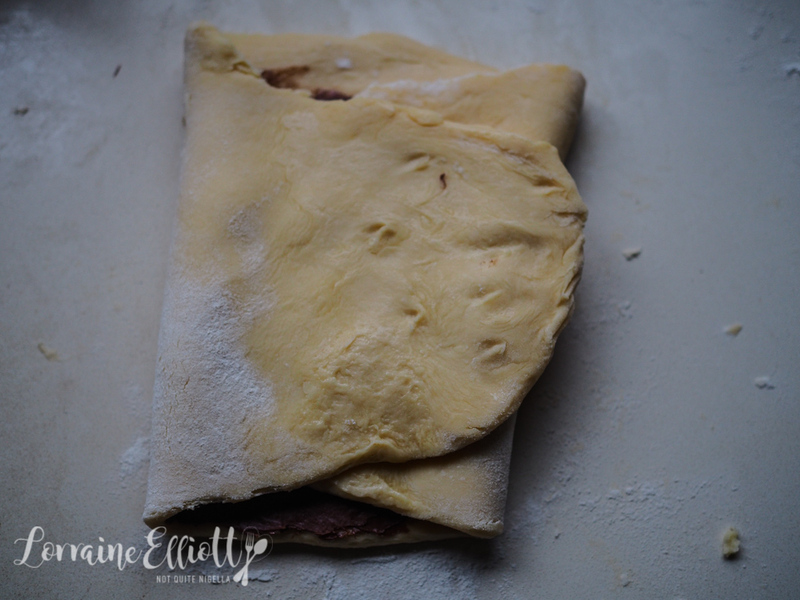 recipeOOFT! 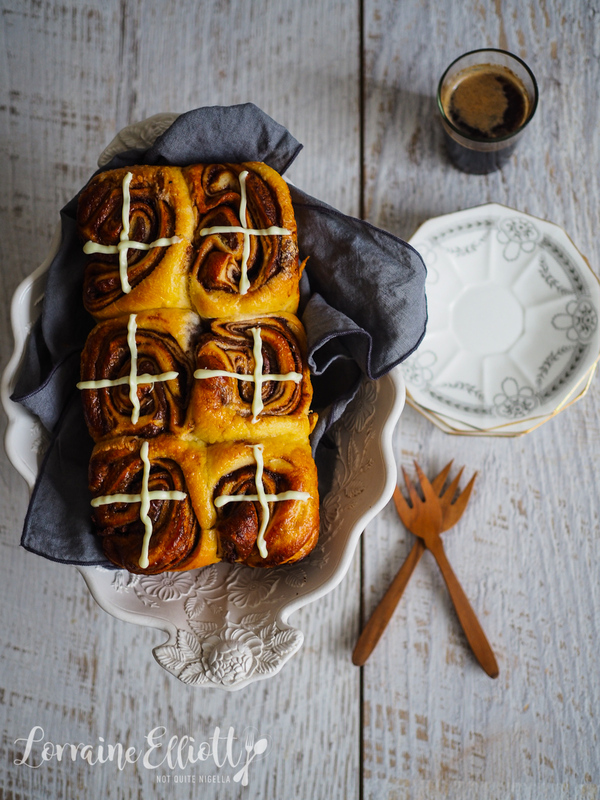 Buttery, Soft & Light Brioche Using Tangzhong! recipe OOFT! 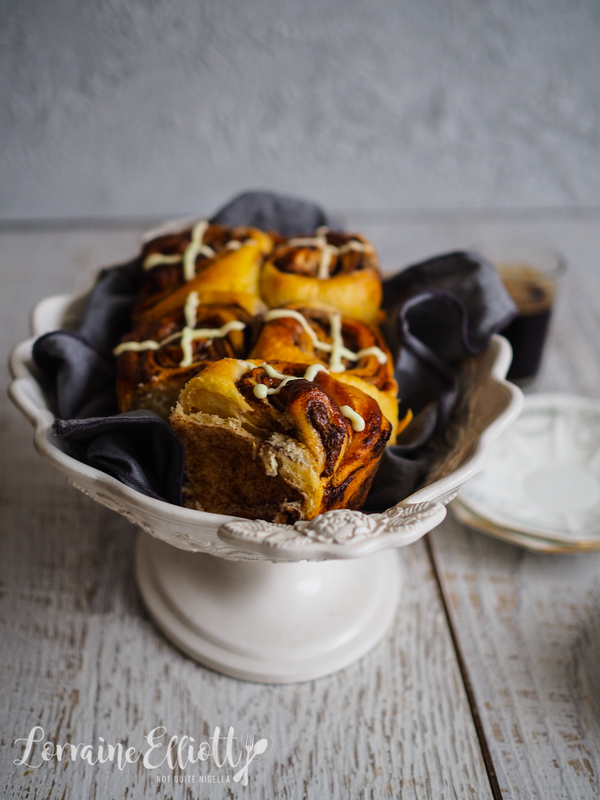 Buttery, Soft & Light Brioche Using Tangzhong!